Crowns are approximately 18cm in diameter and 1.5cm wide. Satin ribbon measures approximately 1.5mtrs between the crowns. 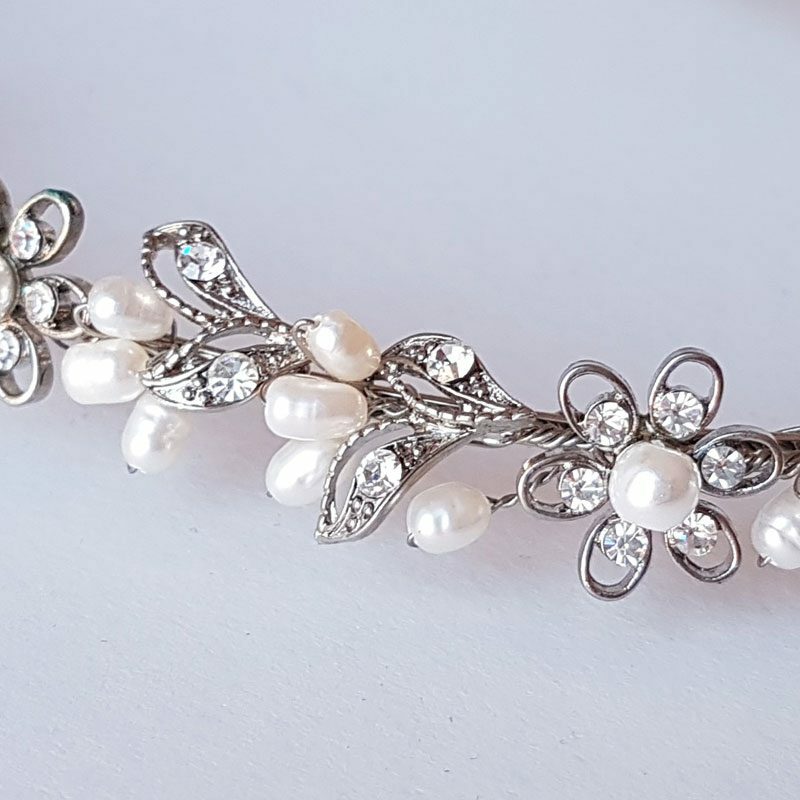 Stunning ornate handcrafted pearl Stefanas made with luscious fresh water pearls and diamantes. 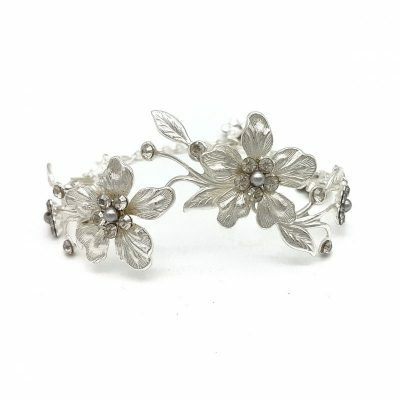 These crowns have a rhodium silver base. 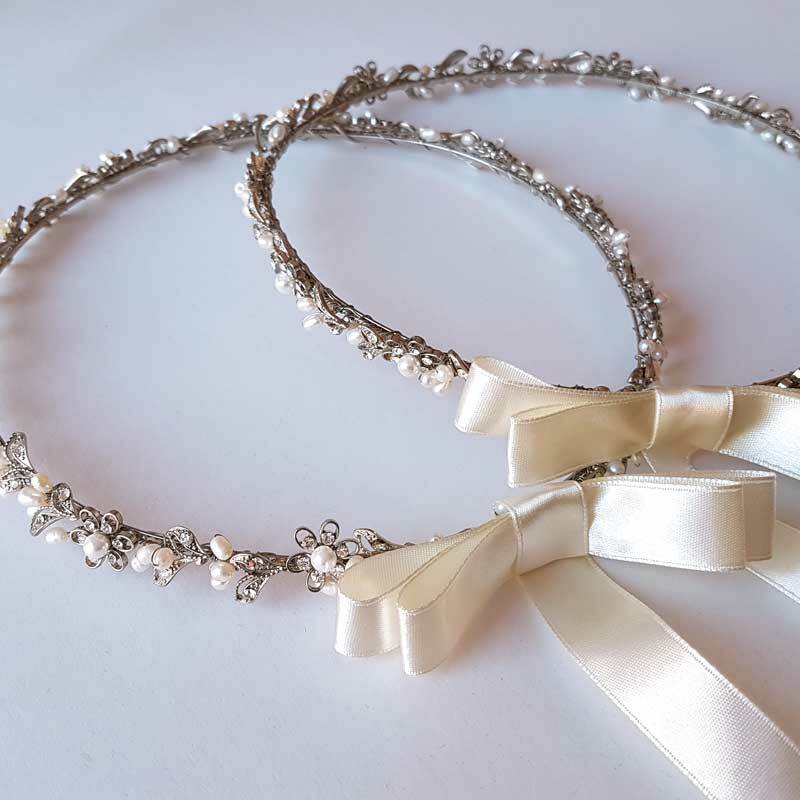 Each crown features a custom made ribbon bow connecting the set in your choice of satin or grosgrain ribbon in either white or ivory (photographed with ivory satin ribbon). This gorgeous set is made-to-order so please allow an additional 2-3 weeks to complete your order.